Artist Trading Card Kit of the Month - November 2016 - Now Showing. 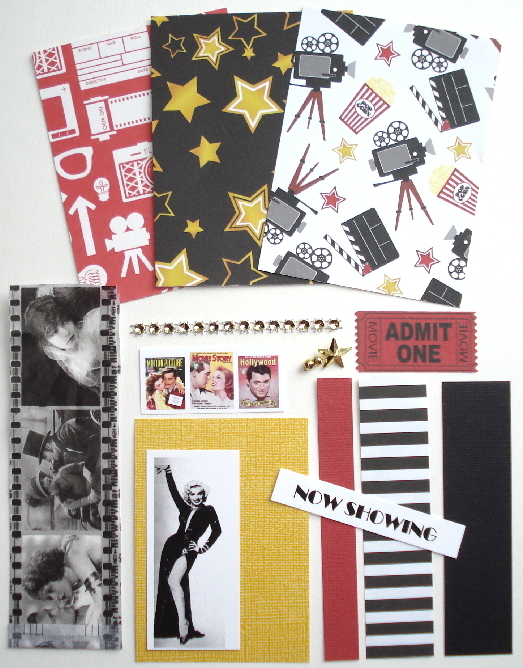 This is a movie star themed kit with a photo of Marilyn Monroe and some small images of old Hollywood magazines. Here is what is included in this kit: 1 - 3 in. x 4 in. piece cut from Now Showing by Double-Sided paper Reminisce - A Star is Born, 1 - 3 in. x 4 in. piece cut from Now Showing by Double-Sided paper Reminisce - Now Showing, 1 - 3 in. x 4 in. piece cut from Daily Flash Snapshots Double-Sided paper by October Afternoon - Shutter Speed, 1 - 2 1/2 in. x 3 1/2 in. Core'dination's yellow cardstock ATC, great for distress with a sander, 1 - 1 in. x 4 in. 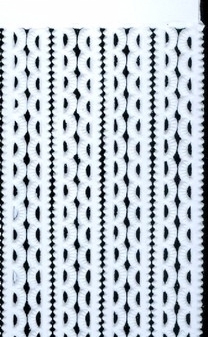 Bazzill cardstock - Black, 1 - 1 in. x 4 in. piece cut from Now Showing Double-Sided paper by Reminisce - Popcorn Time, and 1 - 1/2 in. x 4 in Bazzill cardstock - Red. There is also ac ollage images of Marilyn Monroe and 3 vintage Hollywood movie/movie star magazines. Great to cut apart and use on your ATC, a collage phrase "Now Showing", a piece of tissue paper of a vintage movie film strip, a red ticket cut from Now Showing by Reminisce - Admit One, a piece of coordinating gold sequiny ribbon, and a Plastic gold star, as well as an ATC sleeve for you finished card. 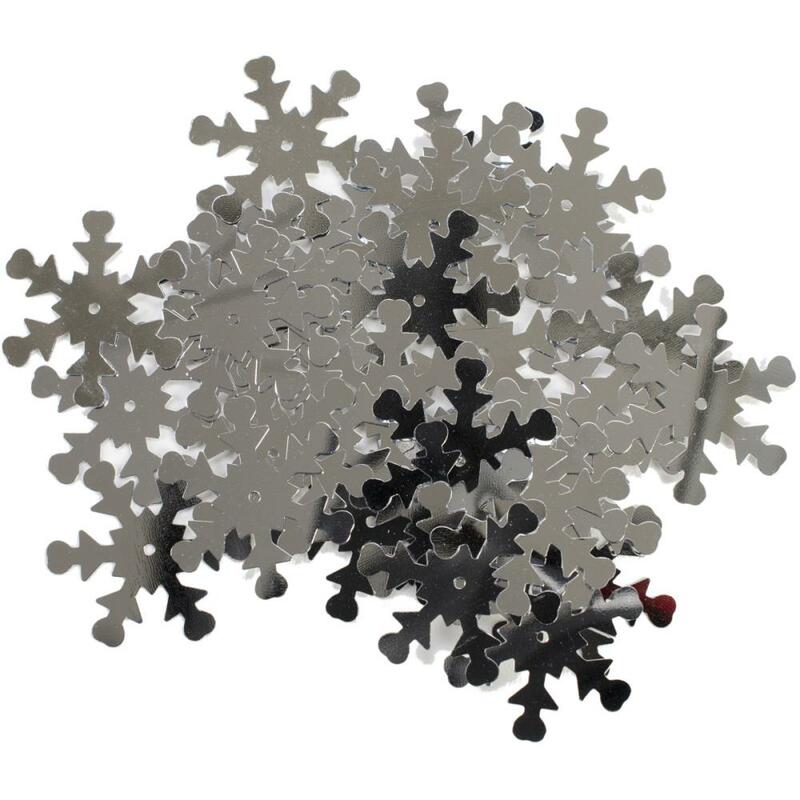 Darice Silver Snowflake Sequins 1" 30/pkg.